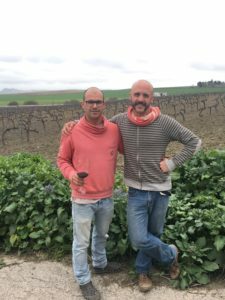 These brothers started this adventure in 2011, aiming to make great wine from great terroirs. Miguel was until 2016 also a part of Alba Viticultores, but focus 100% on Mahara now. For the moment they rent all vineyards they work in, but they aim for buying them as soon as they can handle it economically. They work with 5 hectares in total, spread out on 4 terroirs with different Albariza soils with high content of limestone. One hectare with Tintilla is planted in Calderin del Obisporchase, which is located in Balbaina, just outside Jerez de la Frontera. One hectare of Tintilla and one of Tempranillo is located in Chiclana and finally one hectare of Listan Blanco is planted in Pago Mahina just outside Sanlucar de Barrameda. From start they have been working natural both in the vineyard and winery and they also use the biodynamic practices that they think are suitable for their conditions. Traditionally Tintilla has been used for the elaboration of Mistela, which is basically a fortified red wine with various additives and can give you massive hangovers. 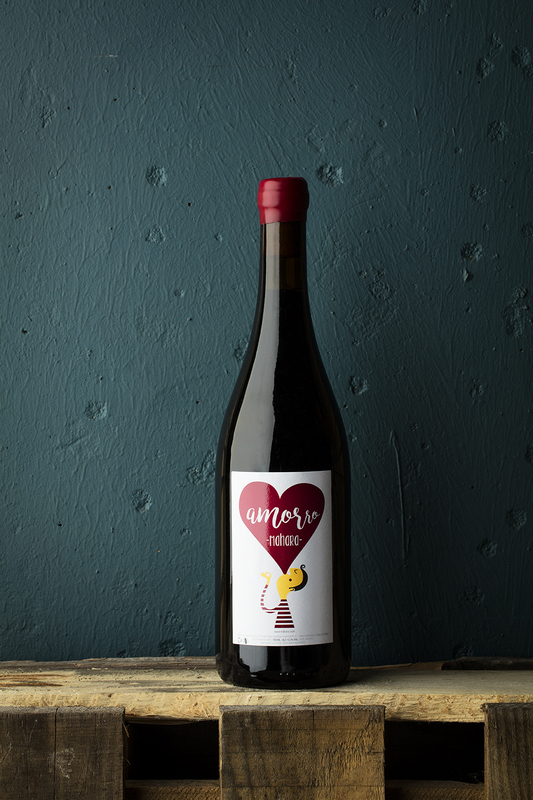 To use it to make an unfortified wine is rare and that’s what Miguel and Jose wants to change. 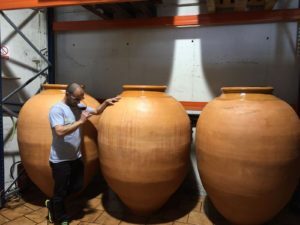 The variety has a naturally low yield, so it is not used much by the conscious Jerez farmers that prefers to plant higher yielding varieties to produce table wine. However, its´ potential and uniqueness has always been recognized. As for the origin; it shares the same DNA as Graciano from Rioja. Which of the varietals that came first is debatable. One major difference between these two varietals is the yield, which is far lower with Tintilla. The fundamental characteristics it gives to a wine is vibrant colour, medium acidity, low p.h. and the high content of Terpenes which can result in great aromatics. This wine is a delight, rich in both red fruits, well balanced acidity and fine, floral aromatics. Soil: Albariza and sand, west exposition fronting the sea. 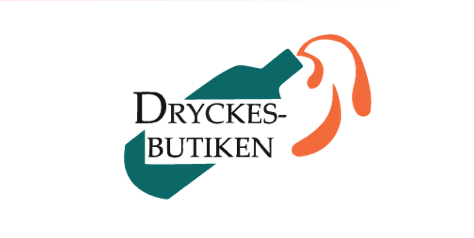 Vinification: Direct press followed by fermentation and ageing on stainless steel before bottling in Juli 2018. Vinification: Mainly whole bunch fermentation. Careful pigeage during 2,5 weeks of fermentation in open vats. Then transferred to old oak barrels, 500 and 600 liter. Bottled in Juli 2017 and then ageing on bottle before release September 2018.